Posted on 17th January 2019 by Gavin in News, Nutrition. comment(s). As pasta lovers, we could happily enjoy a bowlful of carbs at every meal. Indulgent, comforting and delicious, there’s not a meal in the world (well, almost!) that we wouldn’t dish up with our Rizopia. For many pasta lovers with Coeliac disease or for those with a gluten-intolerance, pasta is off the menu. 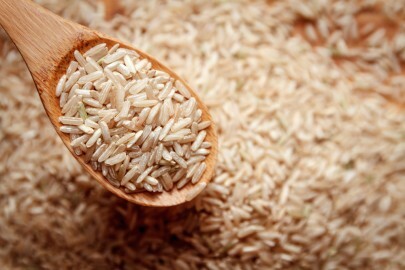 However, brown rice (and our pasta) is completely 100% wheat and gluten-free. It’s also certified organic and contains no allergens, nasties or additives – just tasty, natural goodness. While low-carb and no-carb diets may be on trend right now, carbohydrates are essential for a happy, balanced diet. Not only do they give us energy and fuel for life, but they also feed our good bacteria and keep our digestive systems ticking along nicely. Of course, it goes without saying that low-quality, overly processed carbs are bad for our health – but brown rice is as natural as they come! Brown Rice, the main ingredient of our pasta, is very different to white rice, even though they both start out as the same thing. You see, in the process of refining brown rice and turning it into white, it loses many of its essential vitamins, minerals, fibre and fatty acids. When left intact, brown rice contains B vitamins, which are essential for natural defences and the bones, and high levels of selenium, as well as vitamin D, manganese and anti-oxidants to keep the body healthy. Add in a healthy dose of fibre for a strong digestive system, and you’re onto a winner!